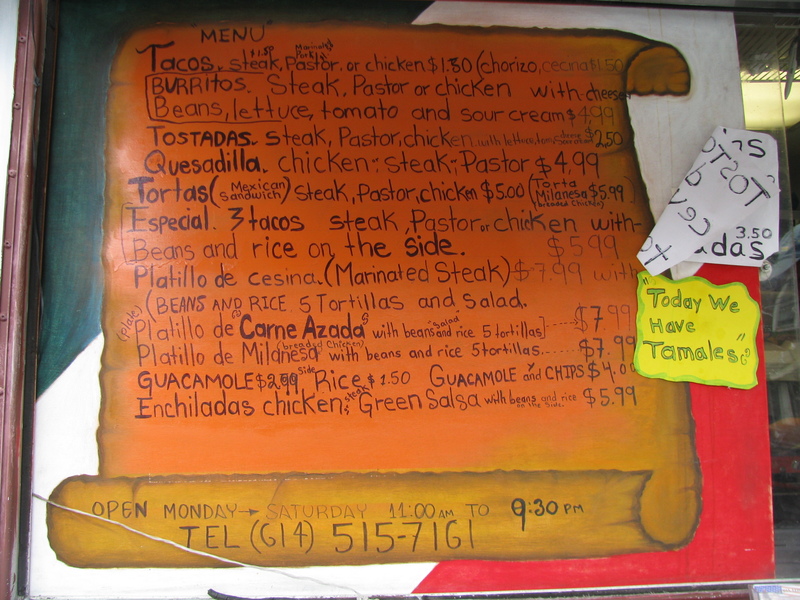 open everyday except Sunday from 10.30am to 8pm. 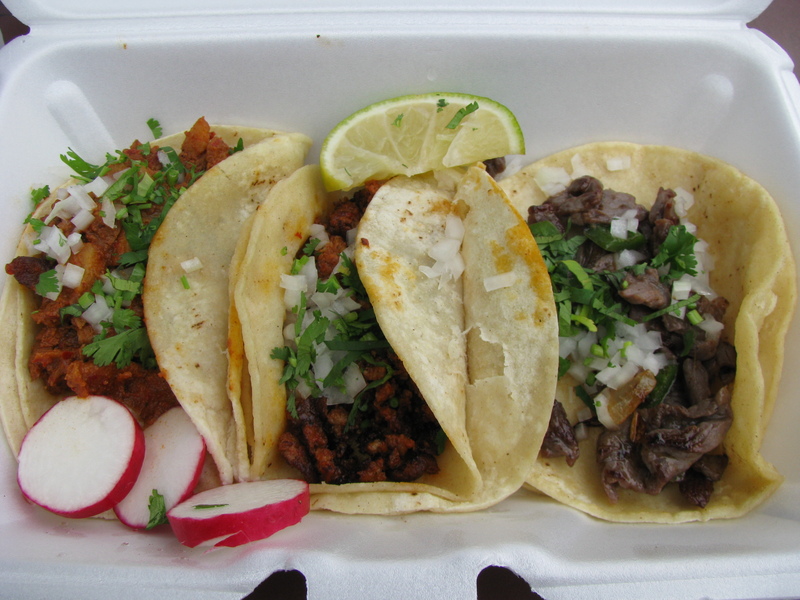 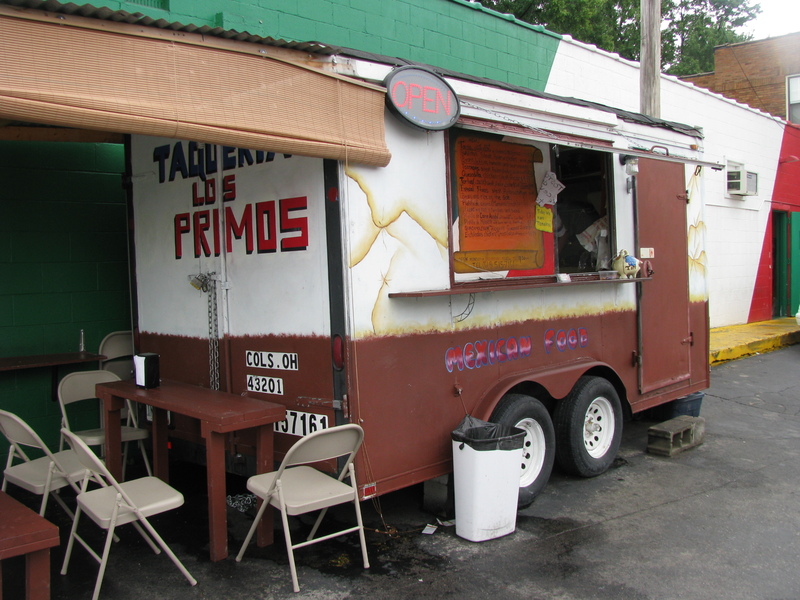 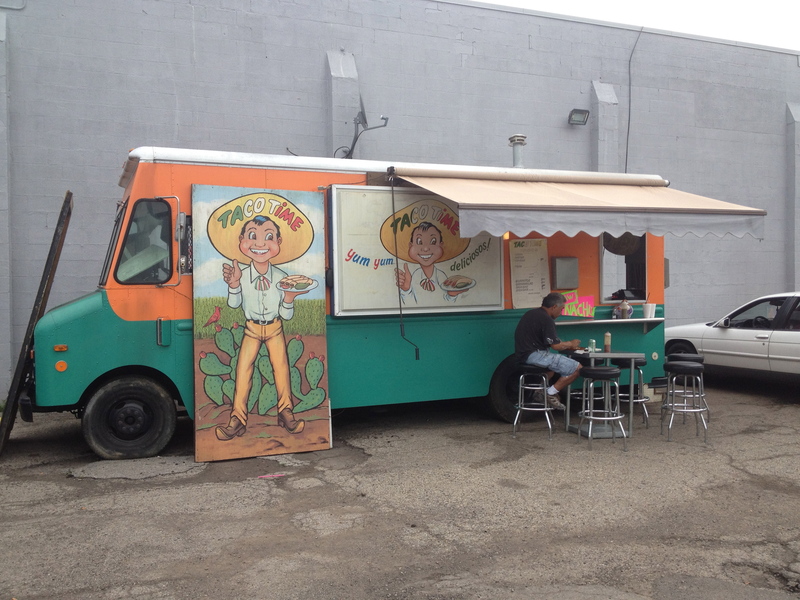 Taqueria La Fonda is a good addition to the East Side taco truck scene. 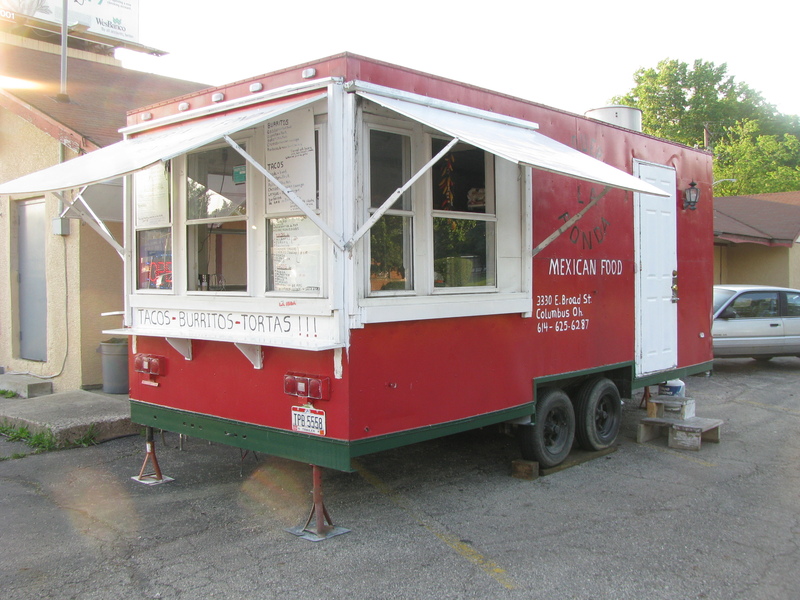 It’s located on the North side of East Broad Street just east of the intersection with James. 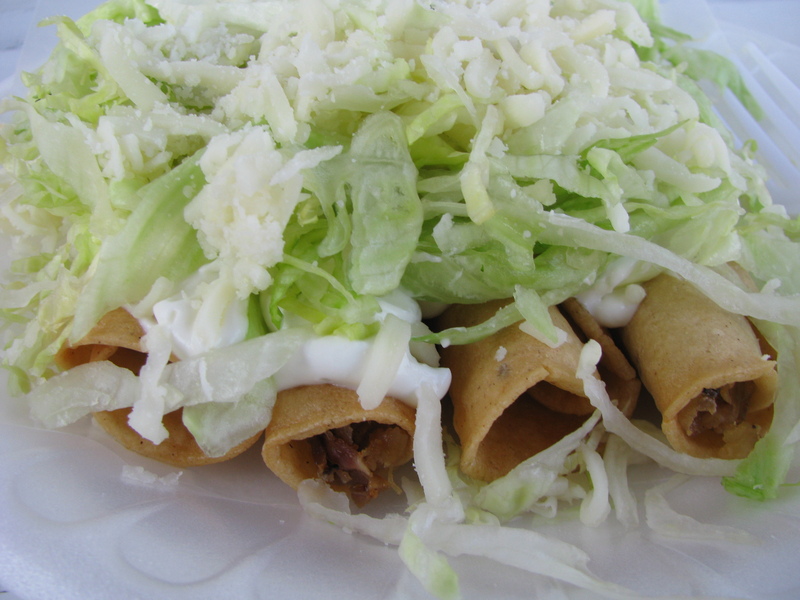 Offerings include the standard tacos, tortas and burritos as well as tamales and crispy corn tortillas (think taquito or flauta) – either chicken or beef served with lettuce, cheese and crema. 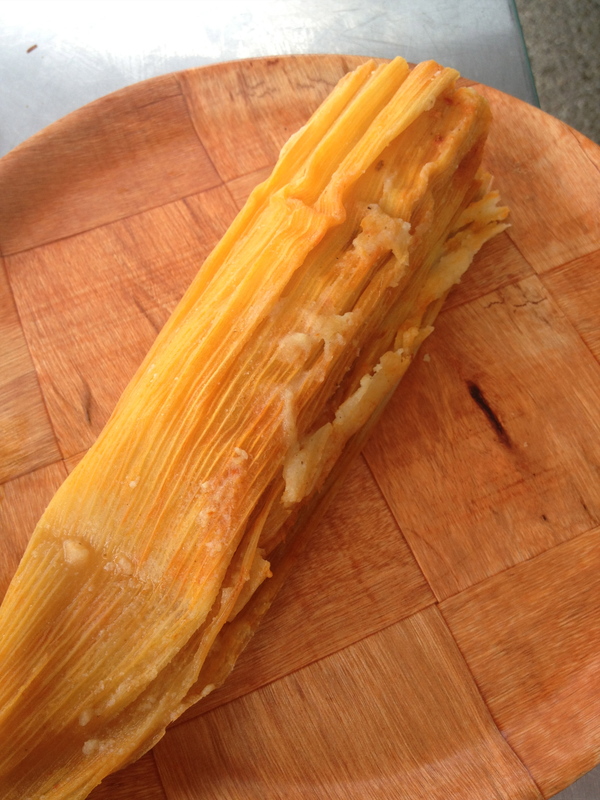 The tamales (we had red) were good – plump, light and moist. 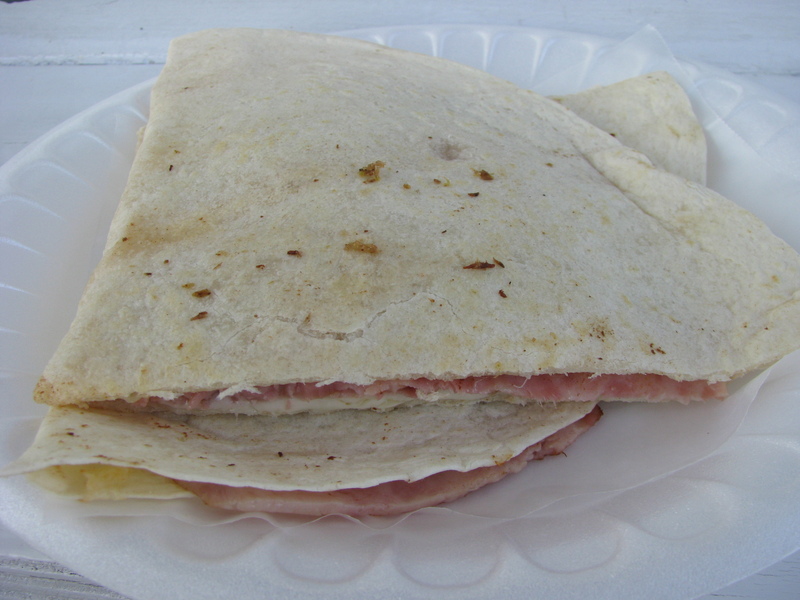 They also have sincronizadas which are similar to a quesadilla but contains ham and cheese. 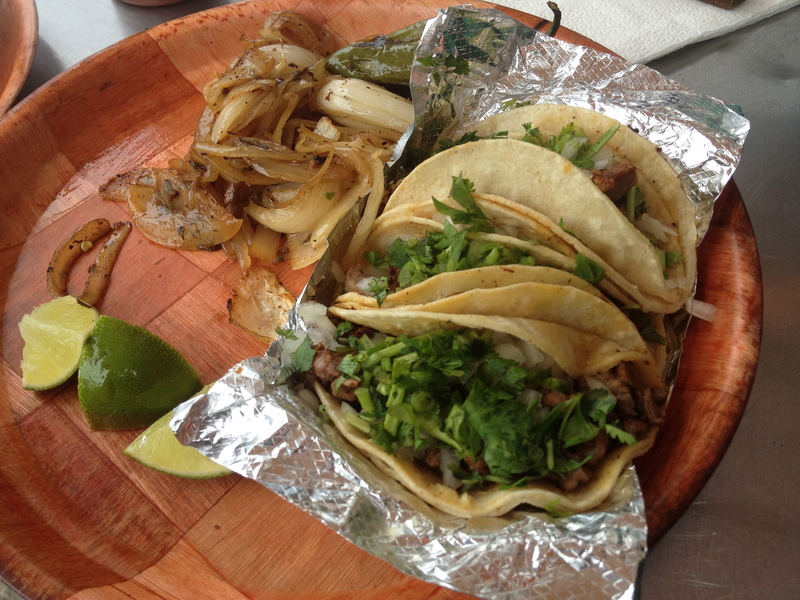 Usually, in our experience, a sincronizada is made with two tortillas stacked like a sandwich but as you can see this one was one large tortilla folded. 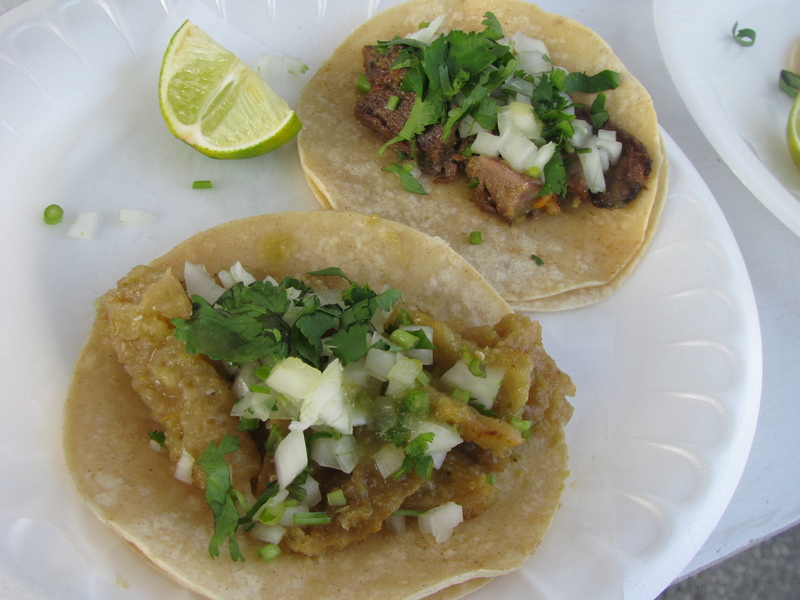 Meat options include chicken, al pastor, chorizo, steak, barbacoa, lengua and chicharron stewed in green sauce (pictured below with a taco de lengua). 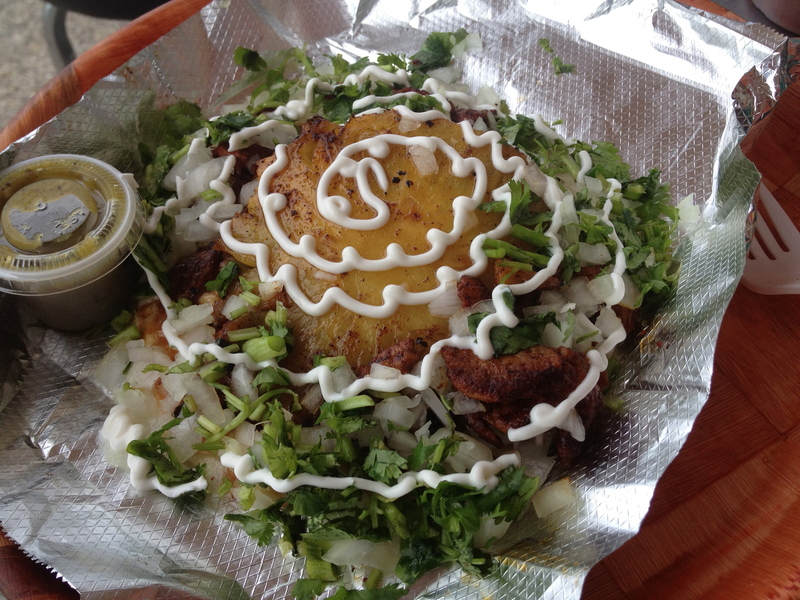 Chicharron guisado is in our opinion one of the more challenging taco truck dishes. 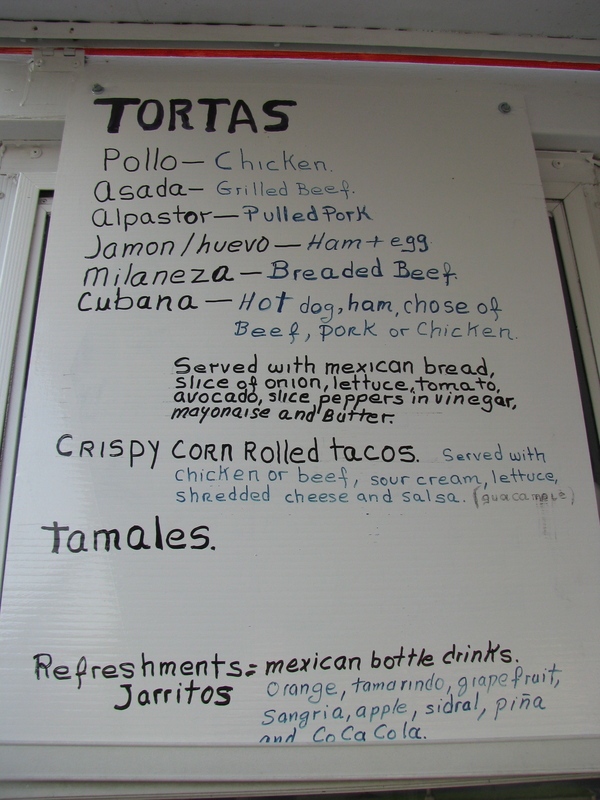 There is a good selection of tortas with some additional meat options.